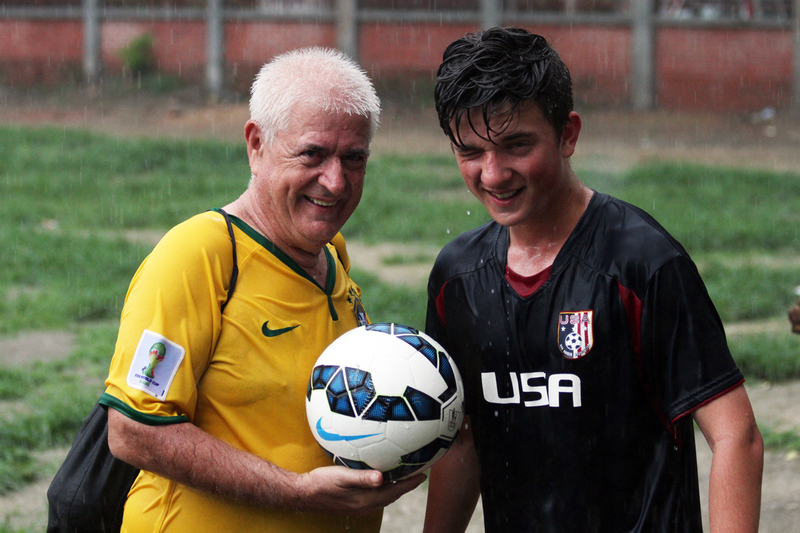 I don’t remember whether we ever walked together in the rain, but we sure walked many miles together! Thanks, to my dear wife for being by my side through another great year! Lots of precious memories! Lots of rain today, with a forecast for snow in Northeastern Ohio! Girl stands on the street divider deciding whether to get into the water or not? 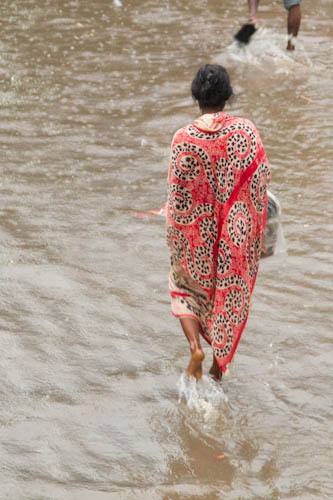 This lady in Mymensingh isn’t going to wait for the water to disappear before crossing the street. 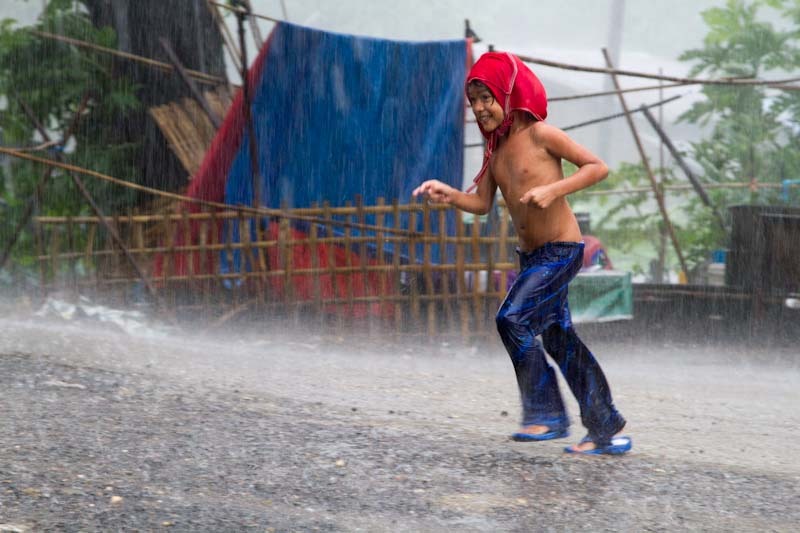 This young Burmese child was enjoying the rain in Yangoon, Myanmar! It looks like fun on a hot summer day! 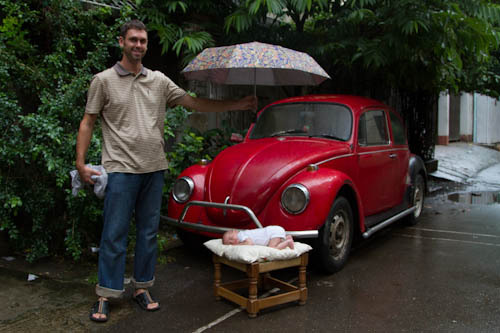 Charles does his part in helping this photo shoot to go on, rain or shine! Sorry, if this is a reblog! BOATSMAN ON THE BURIGANGA AT THE SADARGHAT BOAT TERMINAL, OLD DHAKA, Dhaka, Bangladesh. Even though it was raining they wanted us to go for a river down the river! A big plastic tarp was a part of the bargain. Wow, I can’t believe there are only 65 days left in 2010! 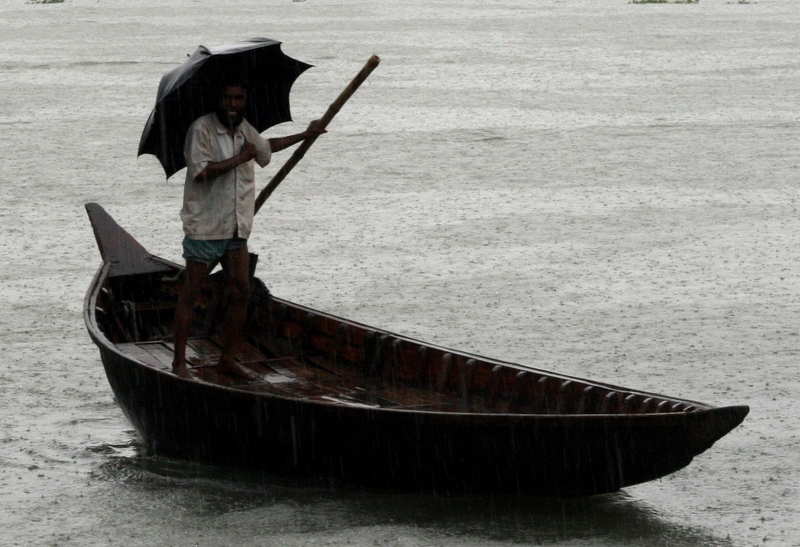 DHAKA DELUGED BY DOWNPOUR is the headlines in the Daily Star today! 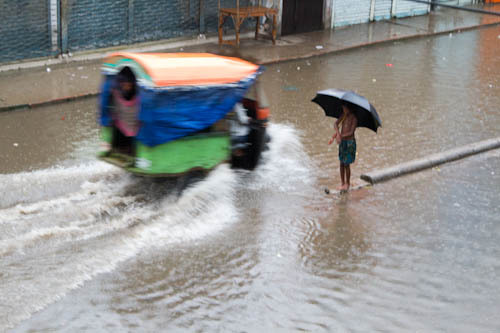 Dhaka city dwellers had to endure ankle to knee-deep water in many areas yesterday as torrential downpour flooded many streets since Monday. Of course rain brings out the umbrellas. This lad is still smiling.